D Magazine's creative director rounds up his preferred places in this organically grown area. Back in the 1990s, a little store named Crate & Barrel transformed the once seedy Knox Street into Dallas’ home decor hot spot, with sleepy Henderson Avenue languishing in obscurity on the other side of Central Expressway. But now that’s all changed. While Knox is populated with mostly mainstream retailers and mass-produced goods (Pottery Barn, Z Gallerie, Restoration Hardware), Henderson’s growth has been organic: a mix of high-end antiques shops and bohemian boutiques, with no national chains in sight. Let’s put it this way: Henderson Avenue is the funky Lower East Side to Knox Street’s sanitized Upper East Side. To which we say, “Viva la vie boheme.” Here are some of the avenue’s top home furnishings shops, both old favorites and new openings. Shopping this vintage midcentury modern boutique is like stepping onto the set of Mad Men, a time capsule of clean-lined, hepcat pieces from the ’50s and ’60s. Owner Chris Thurman has an eye for editing. 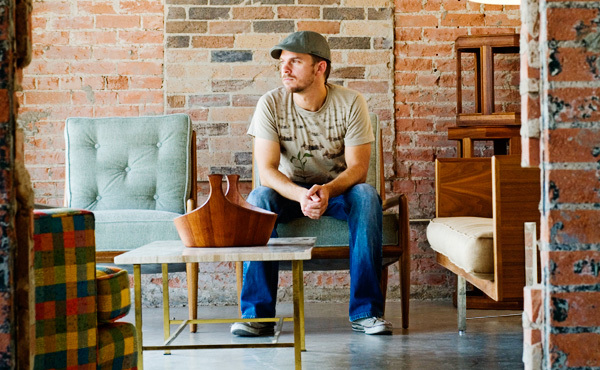 He populates his tiny shop with original furnishings by midcentury masters such as Nelson, Saarinen, and Eames. No reproductions here. Alas, authenticity doesn’t come cheap. Good luck scoring a significant piece for less than $3,000. Still, if money is no object and you’re craving a Dunbar white leather tete-à-tete to fulfill your Don Draper fantasy, down a martini and get your AmEx Black. Thurman is the man. Kitsch and cool collide at owners Vynsie, Jully, and Derek Law’s globally inspired design toy store for adults. Think tea towel-inspired dinnerware from Copenhagen, a green flocked teddy bear figurine from Japan, and DIY collage kits from England. And that’s the more reserved stuff. It’s a thoughtful blend of collectible toys, home goods, and art objects that burst with Anime-like energy. Letterpress junkies alert: We Are 1976’s selection of the affordable graphic art form includes Inky Lips Press, Studio 204, Color Box Design, and more. The store even hosts screen printing and letterpress workshops. How cool is that? Every day is a fiesta at this jubilant shop brimming with Guatemalan textiles, Talavera mirrors, and Day of the Dead folk art. In fact, it’s the oldest retailer of Mexican imports in the country. One of our favorites: highly collectible coconut masks embellished with seedpods and terra cotta. If the heady prices of Sputnik Modern are out of reach, walk across the street to Form. Chris Thurman and co-owner Buddy Hradecky’s recently opened shop has a bit more of a warehouse vibe, with the lower prices to match (starting at $800). Here you’ll find names such as Bertoia and Knoll mixing and mingling with a host of unknowns. Still, you can score some exquisite pieces. On our last visit, we uncovered a refurbished gray tweed Knoll-esque sofa and those iconic George Nelson bubble lamps. This might be our new favorite store in Dallas. Interior designers William “Ty” Burks and Christopher Ridolfi have a smart, tailored sensibility that spills over into their chic space full of vintage finds rehabbed for today’s modern home. A set of berry-colored Chinese Chippendale chairs caught our eye—until we saw the price tag. Yes, good taste comes at a price. Happily, the dynamic design duo populates its shop with more affordable, one-of-a-kind gifts such as vintage bronze bookends and Pascaline Jourdain porcelains. The patchouli hangs thick at this world bazaar-like shop, where young bohemians stock up on saris, Afghan kilim rugs, and Moroccan glass lanterns. The motto here is “Shop the world without jet lag.” The eclectic mix has made a believer out of us. You’ve seen this look before: hand-carved wood furniture—usually in teak or mahogany—from Indonesia and India at low prices. But what makes this shop different is owner Steven Brooks’ unusual decorative discoveries: fossilized tree trunk stools, hand-painted knobs, and vibrant, exotic textiles. Statuesque owner Leslie Pritchard has quickly become a style setter in the Dallas home furnishings scene. Her cute-as-a-button shop, housed in a 1920s pink bungalow, showcases reimagined vintage finds exuding a fun, youthful kick. Striking orange velvet high-back chairs. A celadon tufted headboard that feels transported from a Parisian pied-à-terre. All look like a million bucks. Happily, they don’t cost it. Pritchard also offers her rehab services for those customers longing for a furniture facelift. Farther down Henderson Avenue, she recently opened Again Design Studio, a more upscale and edited version of her original boutique. Modern might be on the rise, but Dallas still loves its French country decor, and Suzie and Wendell Patterson’s shop has been satisfying Francophiles for more than 20 years. Antiques range from the cheap and chic to museum quality, with the prices to match. Budding Julia Childses will fall for the Pattersons’ selection of vintage copper pots and pans. Owner Carley Seale recently relocated her funky shop up the street to Henderson Avenue’s very serious antiques row, and it’s a welcome dash of whimsy. Favorite finds include papier-mâché birds in vibrant chartreuse and a kitschy cowgirl lampshade by Found Images.